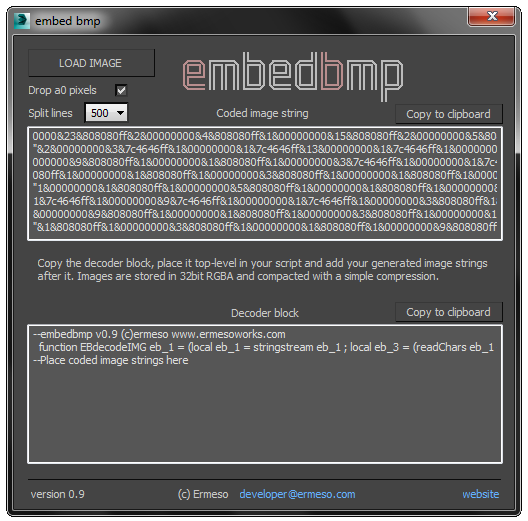 EmbedBMP is a scripting utility that translates bitmap data from an image file to string data, which can be added to Maxscript source and loaded as bitmaps by the provided decoder function block. Some basic compression is applied to decrease the data size. The embedbmp logo for instance is imbedded as a 5kb string, from a 44kb bitmap. The maximum practical image size strongly depends on the compressibility and omittability of the image content. 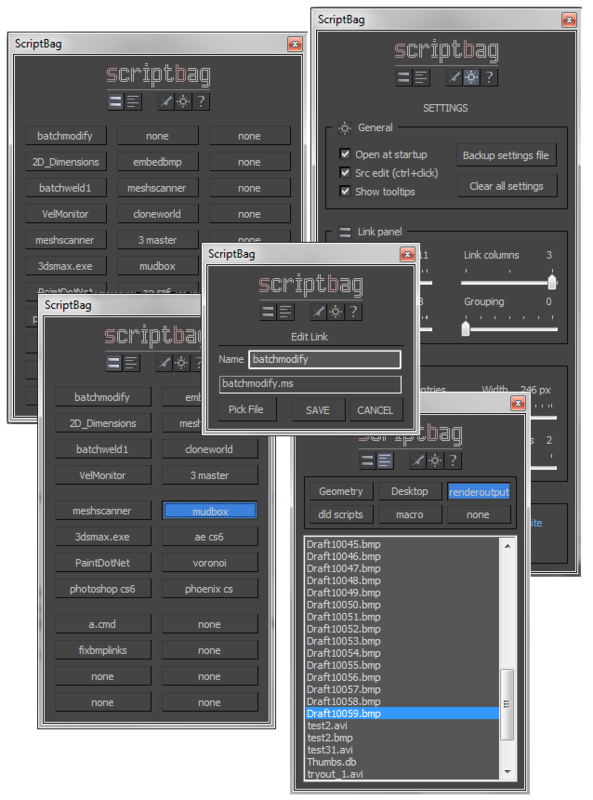 Scriptbag is a configurable quicklink tool serving as a faster and more convenient alternative to Max's cumbersome user panel/toolbar system.